POTLUCK BIRTHDAY PARTY FOR VEN. LAMA KUNGA RINPOCHE. We will honor Ven. Lama Kunga Thartse Rinpoche with a party and prayers and wishes for his continued healthy life. EVERYONE IS WELCOME! BRING FOOD TO SHARE. 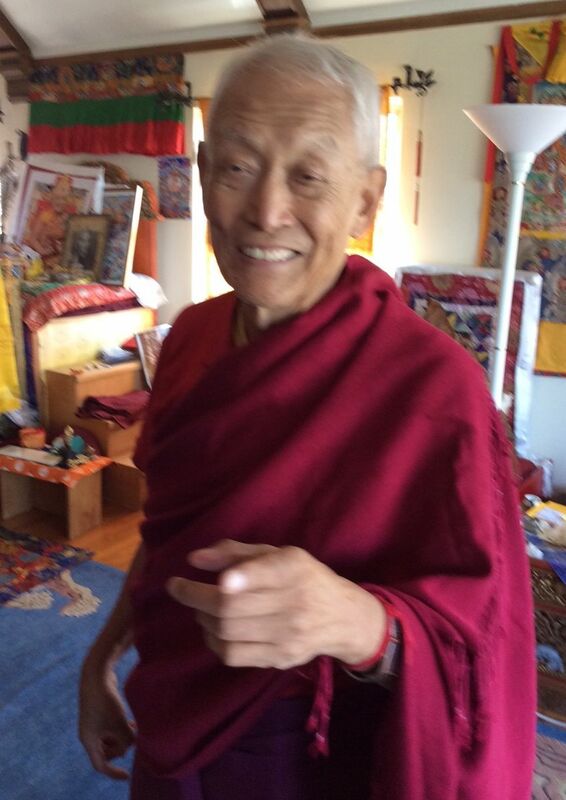 Reminder: Lama Kunga Rinpoche doesn’t eat anything with sugar or any sweetener. Rinpoche says–No material gifts or food gifts, please. Donations$ are accepted. WHEN: Sunday, July 24, 2016 TIME: from 12:30 pm to 4:00 pm WHERE: Arlington Park, 1120 Arlington Blvd., El Cerrito, CA HOW: Drive northward on Arlington Blvd. past where you turn for Ewam Choden. The park is on the right with plenty of street parking. See a map here. At the park, we’ll be at Site 1. See the location here.